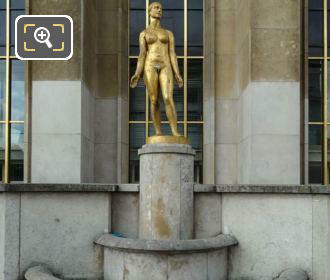 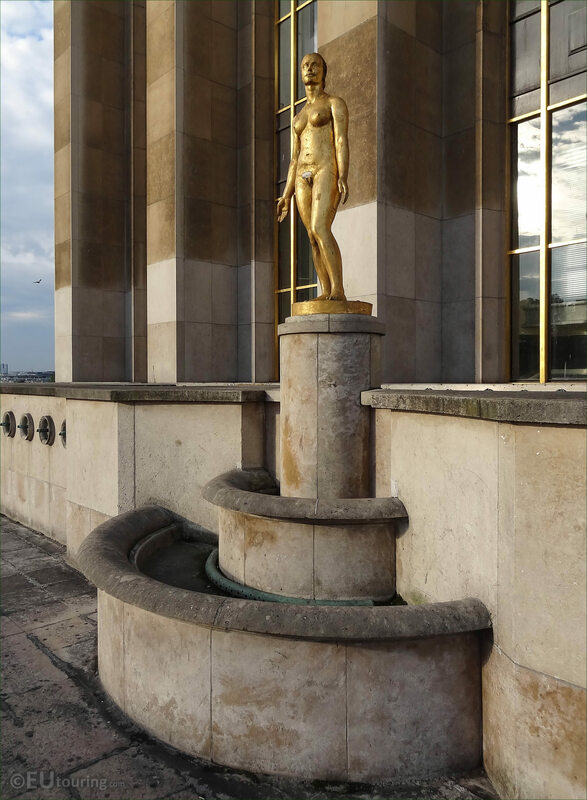 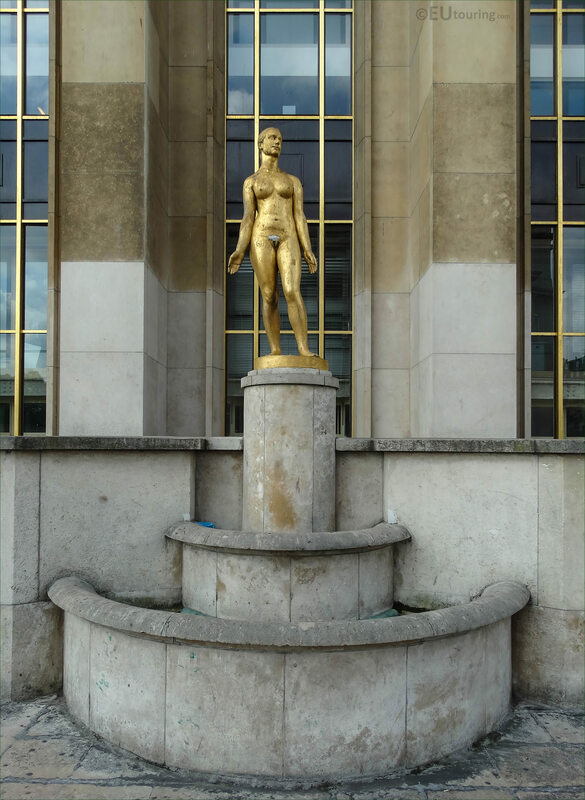 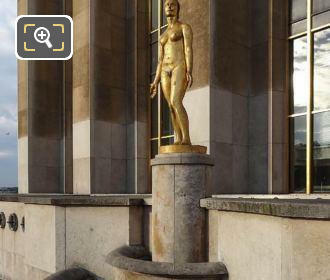 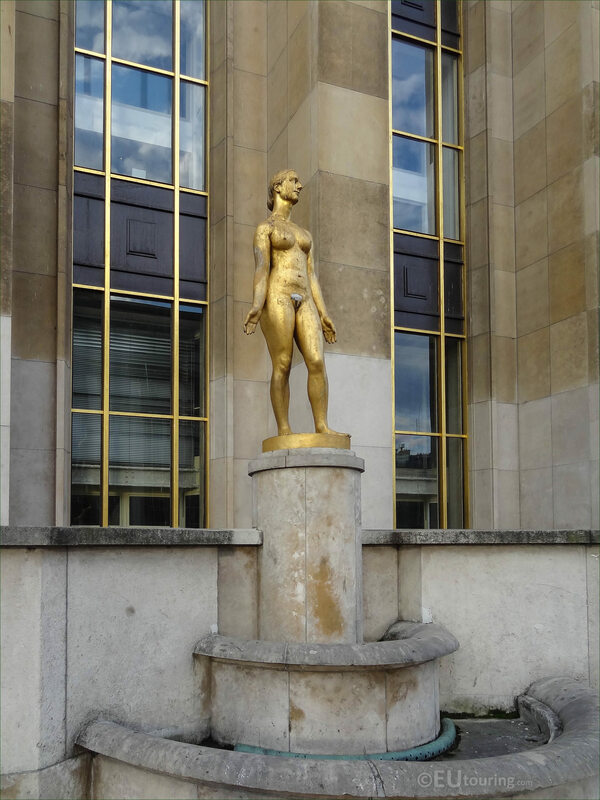 We were at the Parvis des Droits de l'Homme at the Palais de Chaillot in the 16th Arrondissement of Paris when we took these high definition photos showing the statue called Le Printemps, which was sculpted by Paul Niclausse. 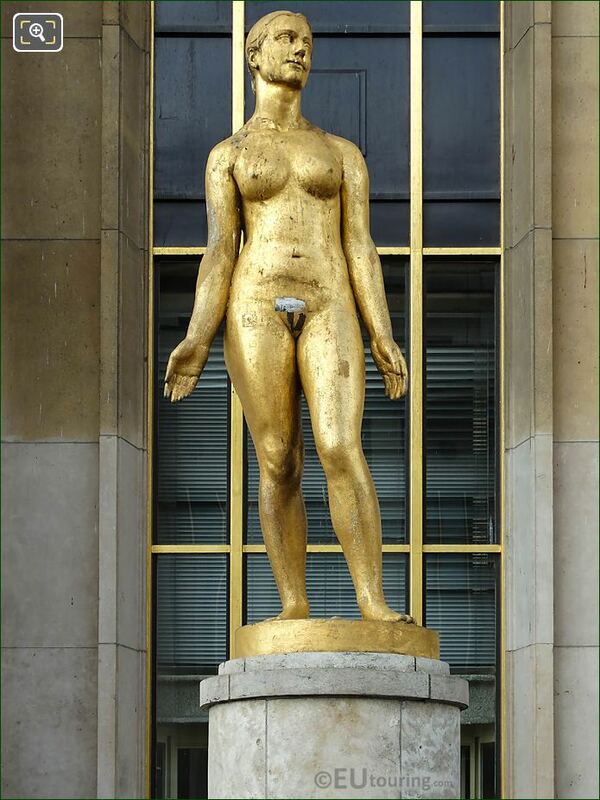 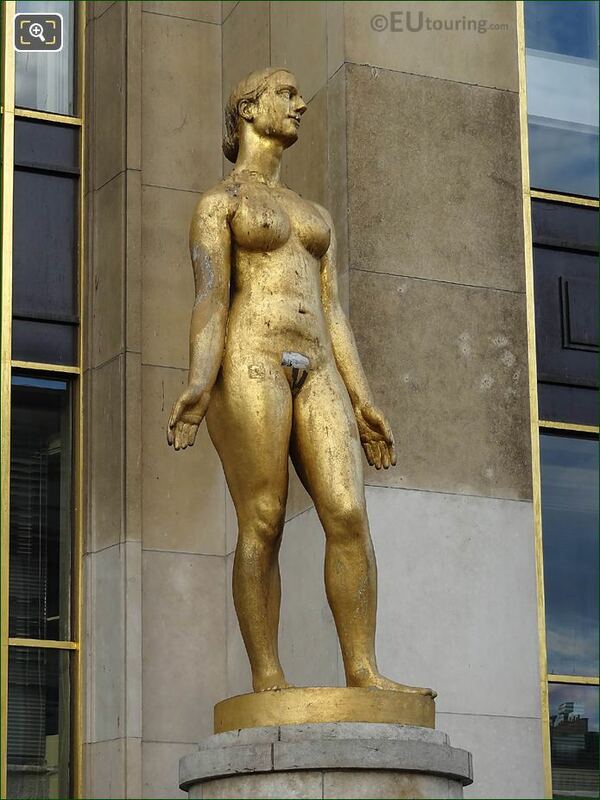 This first HD photo shows the golden statue called Le Printemps, which in English translates to The Spring and this was one of eight statues that were commissioned for the new Palais de Chaillot and the 1937 Universal Exhibition in Paris. Here you can see Le Printemps mounted on to a stone pedestal in front of one of the windows on the south western side of the building, which is actually the right hand side as you are looking towards the famous tourist attraction of the Eiffel Tower. 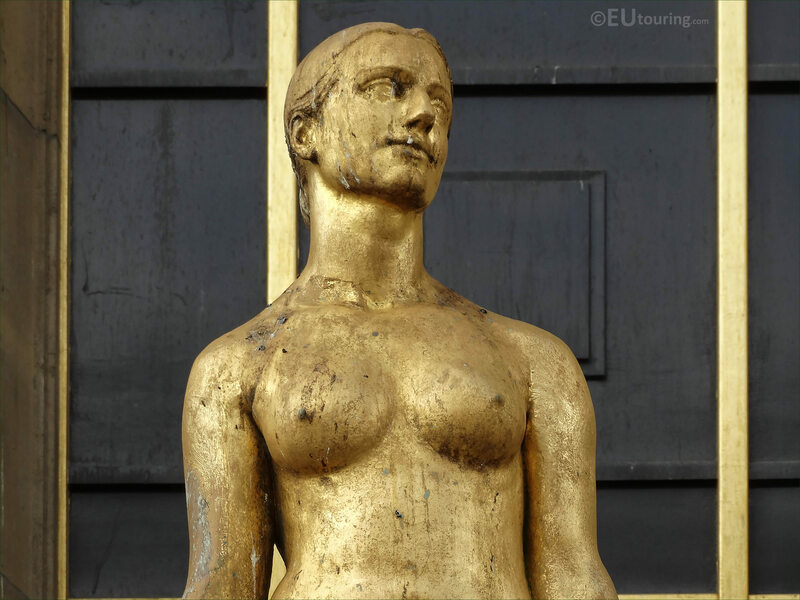 But this next image shows a close up of the face on the golden statue of The Spring, which was actually sculpted in bronze by the artist Paul Niclausse, then covered with the golden colour, also known as gilding. 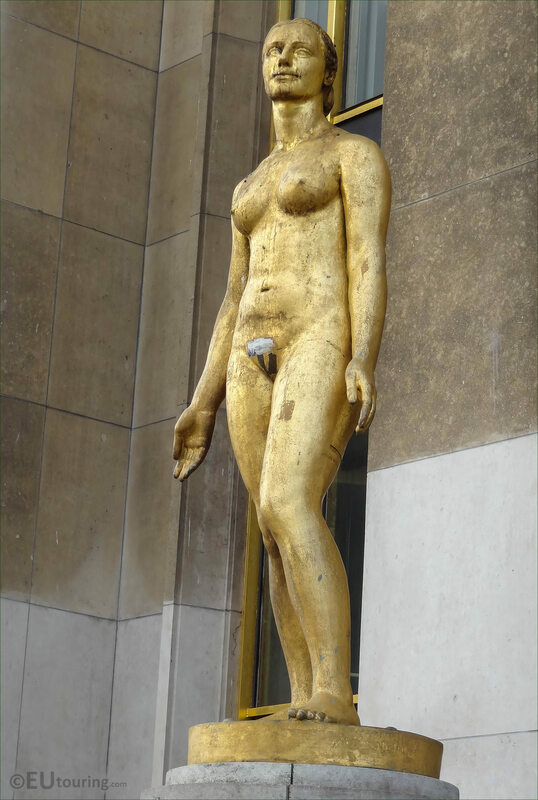 Although here you can see Le Printemps along with two other golden statues as we were looking towards the Place du Trocadero, and with four on each side facing each other, they are located in the square called the Parvis des Droits de l'Homme, although prior to 1985 the area was called the Esplanade du Trocadero. So each one of these statues was produced by a different artist who received a public commission for one of these, and as we mentioned earlier, this was sculpted by Paul Niclausse, who was born in Metz in 1879 with a full name of Paul Francois Niclausse. Having studied at the Ecole des Beaux Arts in Paris, Paul Niclausse was a medalist but also a recognised sculptor, with most of his compositions being in an art deco style, plus he became a professor at the School of Decorative Arts, then was elected as a member of Academy of Fine Arts at the Insitut de france later in his career. 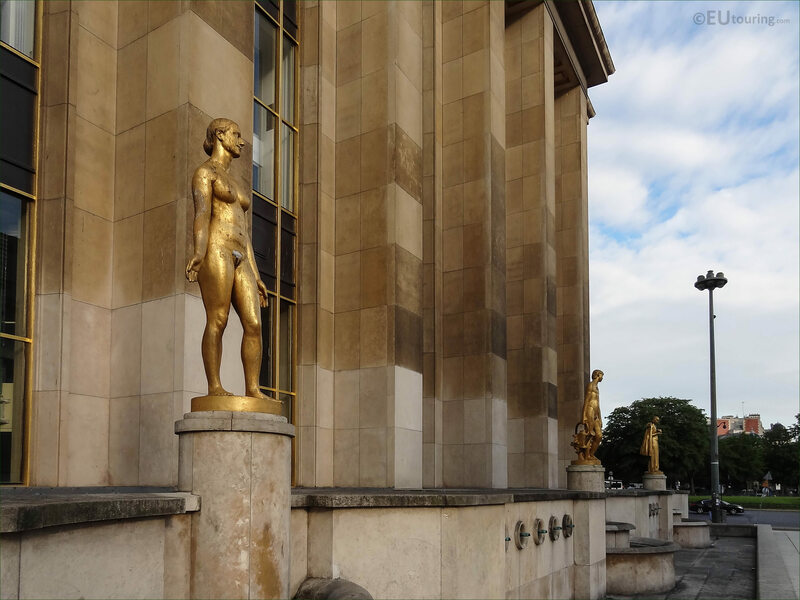 Works by Paul Niclausse can be seen in numerous different museums in France including within Paris, along with a monument at Seine-et-Marne on the outskirts where he lived prior to passing away in 1958, with his colleague, Henri Bouchard, giving his eulogy at his funeral in Paris. 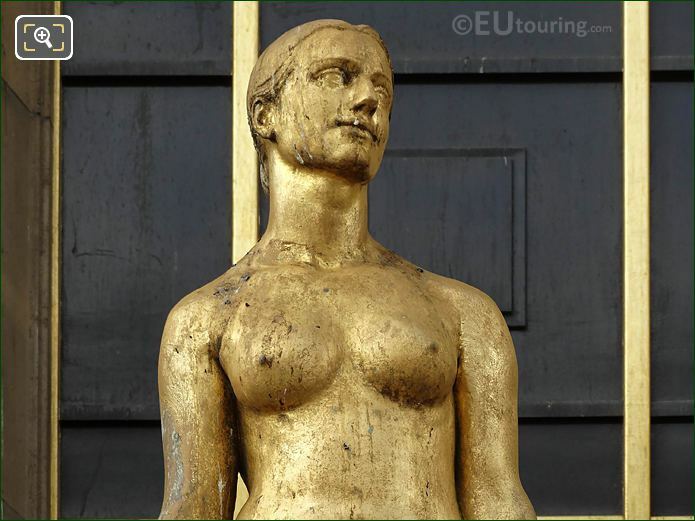 Yet unfortunately, as you can see from these photos, The Spring statue is showing signs of its age with some of the gilding that has come off exposing the bronze below, but they are still a well recognised feature of this area that sees millions of visitors each year, especially for the elevated views towards the Eiffel Tower.